Cloudstreet – October 29 – Set around Perth from 1943-63, Cloudstreet tells the story of two down-on-their-luck rural families who come together to live in one rough house. The Camomile Lawn – October 1 – In August 1939, 5 cousins gather at their uncle's home on the Cornish coast. War is imminent, and the atmosphere is charged with anticipation and the last burst of freedom before hard times. 50 years later, family members return for a funeral and they examine the way the war changed everything. Sword of Honour – October 15th – Daniel Craig stars in this 2001 adaptation of Evelyn Waugh’s WWII literary classic by the same name. Craig plays Guy Crouchback, an Englishman who joins the war after a tough divorce. Vintage Roads: Great & Small – October 8 – Christopher Timothy and Peter Davison, stars of All Creatures Great & Small, host this entertaining travelogue about the golden age of motoring. Behind the wheel of a classic car, they explore beautiful backroads and the history of motoring in Britain. 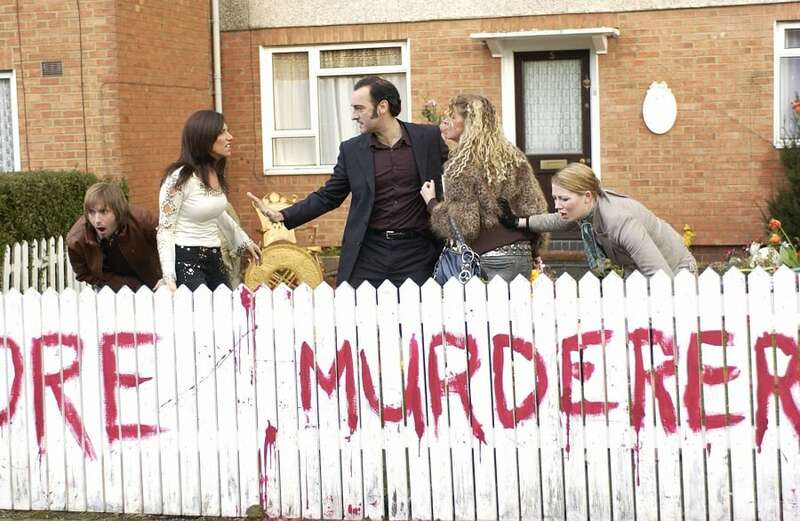 Wire in the Blood, Series 3 – October 1 – Based on the books by Val McDermid, this dark mystery series stars Robson Green as a psychologist who gets inside the minds of killers. Bang – October 15th – This brilliant bilingual Welsh crime drama was nominated for Five BAFTA Cymru Awards including best Television Drama and Writing. It tells the story of chaos unfolding around a man after he comes into possession of a gun. Young, Gifted, & Classical: The Making of a Maestro – October 22nd – Cellist Sheku Kanneh-Mason became the first black winner of the BBC Young Musician competition in 2016. This Acorn TV exclusive documentary follows Sheku and his six musically-gifted siblings and what it means to be a young, black, classical musician in today’s society. The Gil Mayo Mysteries – October 13th -Detective Inspector Gil Mayo is smart and charismatic, but he can't take anything seriously, and his squad is riddled with personal and romantic issues. Based on the Gil Mayo Mystery series by Marjorie Eccles, which you can find here. QI (P), Season 16 – October 1st – The latest series of episodes is themed around the letter “P”. Sandi Toksvig hosts this hilarious quiz show. Inside No. 9, Season 4 – October 9th – The dark comedy anthology series Inside No. 9, returns as comedy duo Steve Pemberton and Reece Shearsmith present new compelling storylines, characters, and settings, all (as always) linked only by the number 9. Includes one episode written entirely in iambic pentameter as a tribute to Shakespeare. The Last Leg Season 15 – October 16th – New episodes of The Last Leg return to BritBox’s panel channel this October as Adam Hills, Josh Widdicombe and Alex Brooker along with celebrity guests take on current events with a satirical spin every week direct from the UK. Our Girl, Season 3 – October 24th – Nepal Tour (Part 1) – This new season takes British Army medic Corporal Georgie Lane to Nepal on a humanitarian mission after and earthquake. Jonathan Creek, Season 1 – October 6th – At long last, viewers will be able to see the first season of Jonathan Creek (the rest have been up for some time now). Magician Jonathan Creek (Alan Davies) teams up with investigative journalist Maddy Magellan (Caroline Quentin) to unravel locked room mysteries in this often hilarious mystery series. Inside No. 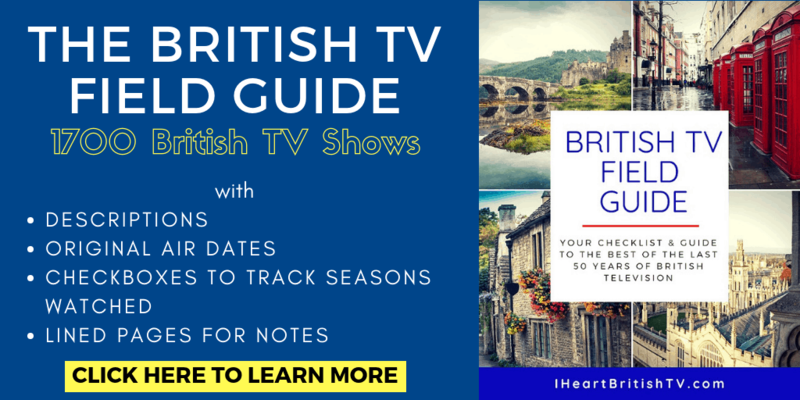 9: Deadline (Live) – October 28th – (North America Exclusive Live Premiere) – Following the debut of the show’s fourth season earlier this month, BritBox is going back “inside” No. 9 one more time – except now LIVE! Compliance beware (or so says BBC comedy commissioner Shane Allen) as the duo of Shearsmith and Pemberton prepare this brand new 30 minute Halloween special live from London! ExtermiNITE! – October 31st – Night of the Killing Daleks – (BritBox Premiere) – BritBox will offer access to a number of Classic Doctor Who episodes featuring Daleks. Among them are Day Of The Daleks, Planet Of The Daleks, Remembrance Of The Daleks, Resurrection Of The Daleks, Revelation Of The Daleks and The Five Doctors – many of which are being made available for the first time in years. Eugenie's Wedding – October 12th – BritBox will be live-streaming wedding nuptials of Princess Eugenie and Jack Brooksbank from St. George’s Chapel at Windsor. Shakespeare Uncovered: Series 3 – October 12th – Hosts Helen Hunt (Mad About You), Brian Cox (Nuremberg), F. Murray Abraham (Homeland), Romola Garai (The Miniaturist), Simon Russell Beale (The Hollow Crown), and Antony Sher (Shakespeare in Love) seek the stories behind the stories of Shakespeare's most famous works, including Much Ado About Nothing, The Winter’s Tale, The Merchant of Venice, Measure for Measure, Julius Caesar, and Richard III. 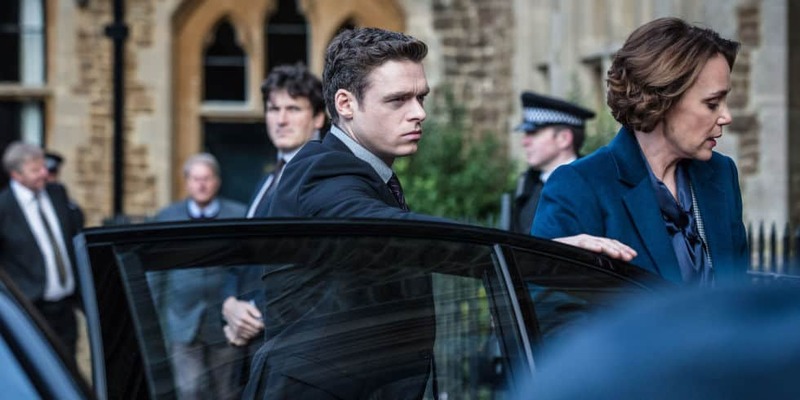 Bodyguard – October 24 – This BBC smash hit about a British officer charged with protecting the Home Secretary features Richard Madden (Game of Thrones) and Keeley Hawes (Durrells in Corfu). Been So Long – October 26th – A hardworking single mum goes for a rare night out and meets a handsome stranger. Apostle – October 12 – In this period horror film, Dan Stevens stars as Thomas Richardson, a man who travels to a remote island to rescue a sister kidnapped by a strange cult. Schitt’s Creek: Season 4 (Canadian) – October 11 – In this quirky comedy, a newly-broke family leaves their pampered existence to regroup in Schitt's Creek. Wanderlust – October 19 – Toni Collette and Steven Mackintosh struggle to keep the spark alive in their marriage, each finding themselves drawn to others. Derren Brown: Sacrifice – October 19 – Illusionist Derren Brown returns to television in this Netflix Original series. This time, he crafts a psychological experiment to convince a person to lay down their life for a stranger. As of right now, we've seen a number of shows that were listed for release, but they didn't show up – so we've removed everything from this list until we can get more information. 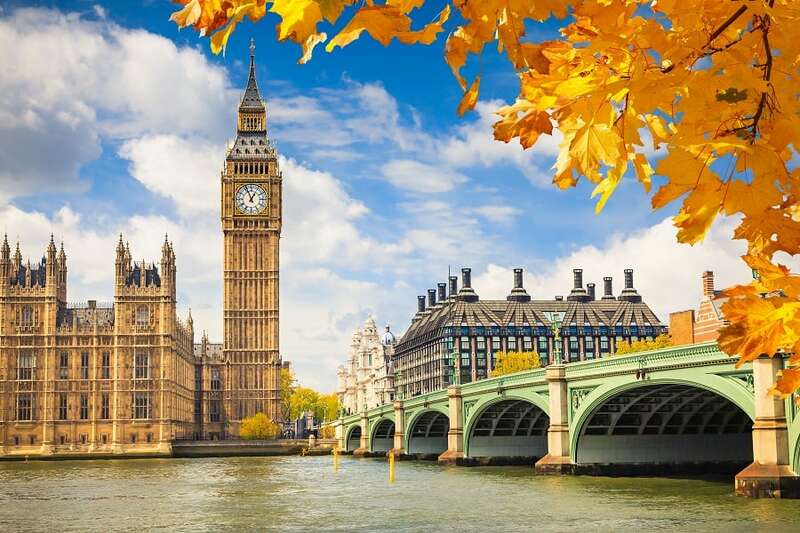 What are You Most Looking Forward to in October? We're pretty psyched about Bodyguard, but we're also excited to know people will finally be able to stream Jonathan Creek Series 1. We've had the DVDs for ages, but we get a lot of questions about that one and it's nice to know completists will FINALLY be able to start at the beginning and enjoy the series in order. I can’t believe I have to rent silent witness on Amazon prime of which I already pay to have the streaming service! All 21 seasons of Silent Witness were supposed to be available to stream for free starting from Oct. 1st. But it’s still not available. Just a few seasons for purchase that have already been there for ages. Hulu has Silent Witness available to stream from Season 10 onwards. All these sites, including this one, have been putting out incorrect information. Several of the other TV shows that were supposed to be available from Oct. 1st this year are still not available to stream with a Prime subscription. Amazon Prime, Netflix, and Hulu do a poor job of communicating with their customers about upcoming new content. The multitude of websites that proclaim to provide that information are often simply inaccurate (as in this case). It looks like the release that was sent out contained a lot of inaccurate information (or something is going wrong with getting the new titles up). We’re not sure why it happened, as the lists are usually pretty accurate – but for now, we’ve removed all the Amazon titles. Thanks for the clarification. I was also interested in Silent witness. I hope it comes to Amazon Prime. I agree. Very little communication to Prime Customers.